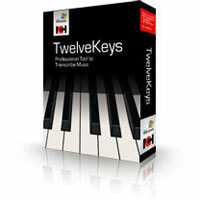 TwelveKeys is a music program designed to assist musicians as they transcribe music recordings. Use Crescendo to create and arrange sheet music of music you're transcribing, or original pieces. Explore our complete range of software for musicians.